In 1987, a barge called Mobro 4000 departed Islip in New York’s Suffolk County loaded up with 3,100 tons of waste, a fair bit of which was Styrofoam containers. The barge was supposed to unload its undesirable cargo into a landfill in North Carolina, but that proved harder than expected. No one wanted the trash. Mobro barge ended up wandering the eastern seaboard for six months, dipped into the Caribbean, and even made it as far as Belize without finding a suitable dumpsite. The fiasco drew media attention and ignited a national conversation about landfills, recycling, and the environment. Not surprisingly, Styrofoam emerged from this debate as the logical bad guy since it does not biodegrade and thus, it was argued, would crowd landfills and pollute our oceans. In 1988, New York’s Suffolk County enacted the first Styrofoam ban in the United States, but a plastics lobby quickly formed in response and succeeded in overturning the ban. Since then, similar bans have been put in place around the country—on Styrofoam, plastic bags and, most recently, plastic straws—resulting in years of litigations and millions of dollars worth of legal fees. We’ve been stuck in the same debate for the past 30 years. Styrofoam is still here—but is that good or bad? Turns out, there’s no simple answer. And Styrofoam’s story is certainly complicated. A Wonder Product or a Waste Nightmare? First discovered in 1839 in Berlin, Styrofoam’s precursor—expanded polystyrene (EPS) foam—became immensely popular during World War II as an inexpensive building material for military aircrafts. Between 1939 and 1945, the rate of polystyrene production increased expotentially. In 1946 the Dow Chemical Company trademarked Styrofoam. In the process of trying to make polystyrene more flexible, Dow scientist Ray McIntire mixed together styrene and isobutene in a reactor and heated them. The result was extruded polystyrene foam, a strong material that is moisture resistant and composed of 98 percent air—so incredibly lightweight and buoyant that it was considered a wonder product. Its low cost and ease of production catapulted Styrofoam into our lives. 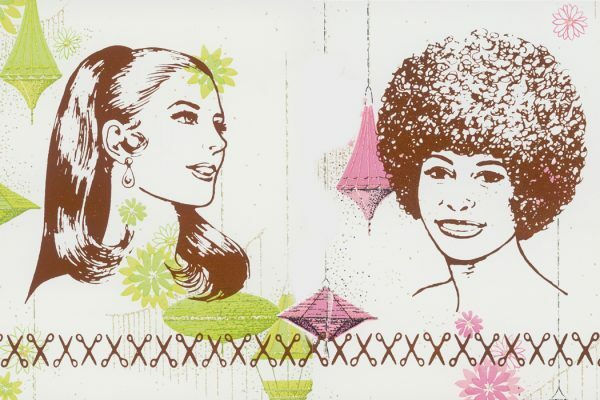 From energy efficient building insulation to surfboards, and from soilless hydroponic gardening to airplane construction, Styrofoam was heralded as the wave of the future—until the environmental issues came up. In the 1970s, research found that EPS foam not only degrades in seawater, but also that the resulting pieces called styrene monomers are toxic when ingested by marine life. “It doesn’t biodegrade, it just breaks down, and as it breaks down it just becomes edible to more things and it just leads further down the food chain,” says Nathan Murphy, the state director for Environment Michigan. There are several concerns here, he adds. One is that creatures that fill up their stomachs with plastic pieces may not be able to get enough food. Two is that that chemicals, particularly endocrine disruptors, might leach out of that plastic and harm the wildlife—or worse, make their way into the human food chain. Styrofoam actually has a lower footprint than other packaging materials, says one professor. 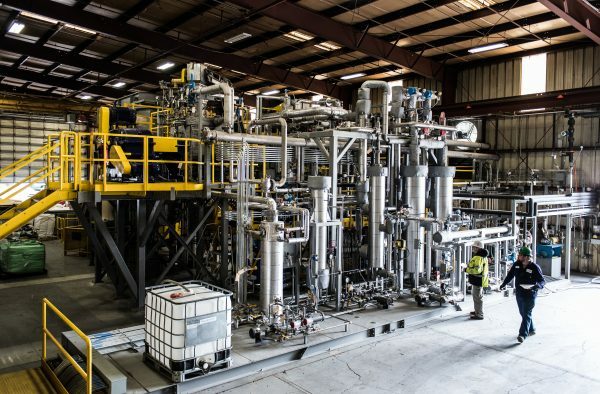 Agilyx uses their pyrolysis-based technology to convert various plastic waste into hydrocarbon products—basically it breaks polymers down into elemental constituents, which can work very well for Styrofoam recycling. After compacting it and mixing the Styrofoam with other types of polystyrene foam plastics, Agilyx converts it back into a type of oil that can be used in manufacturing of anything from bicycle helmets to high quality synthetic crude oil. The crude oil is a particularly promising application since it swaps a non-renewable resource with a renewable one. Agilyx has sold their crude oil to a refinery that has turned it into jet fuel that was then sold to the department of defense. Moreover, Agilyx isn’t the only Styrofoam-recycling genius. Another company, Styro-Gro, has outfitted trucks with built-in Styrofoam compactors for convenient pick-up and then converts it into faux marble or quartz. So if recycling Styrofoam is possible, why hasn’t it caught on in the same way as other materials? Turns out, it all boils down to economics—volume, weight, and a functioning recycling process. The waste system wasn’t set up for Styrofoam recycling, says Agilyx Vice President of Operations Brian Moe. So today there’s little capacity and market for recycling it and turning it into useful products. Foam is a problem child for many facilities since it can easily break up and contaminate other, more profitable recyclables. Food service foam containers are particularly problematic since they are difficult to clean and most facilities don’t want to deal with that. Vaillancourt notes that while Agilyx’s technology can recycle commercial volumes of fairly contaminated mixed plastics (such as taking waste from 500 customers, including schools and lunch trays with food leftovers) and most other pyrolysis companies haven’t achieved commercial scale. “The challenge with chemical recycling is you need to be comprehensive about the types of products you take in and produce. That’s one of the reasons that chemical recycling has been slow to adopt,” he reflects. Inside the Agilyx Styrofoam recycling factory. Photo by Fred Joe. 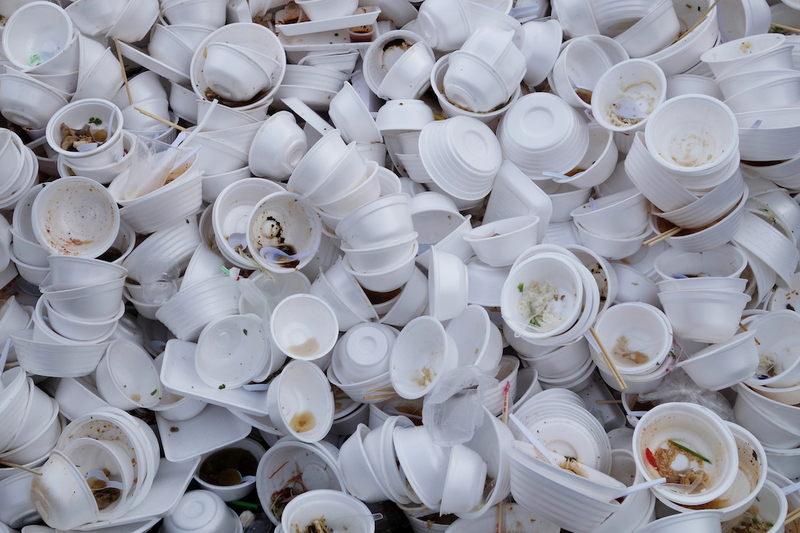 Anna Dengler, Vice President of Operations for corporate sustainability consulting firm Great Forest, says that when advising clients on whether or not to recycle Styrofoam, it comes down to volume and weight. “The issue with Styrofoam as opposed to hard plastics is that [hard plastics] weigh more,” she explains. Since foam is so light, it can take up a lot of room with far less monetary return so it’s not worth it for a lot of haulers. “You have to get a special compactor on site to compact the Styrofoam so it gets all the air out so then you are more likely to find a hauler who will move and recycle the material,” says Dengler. For a large-scale urban business this is a possibility, but many smaller companies are limited by availability of haulers. After New York City’s ban on Styrofoam was challenged in court, the Department of Sanitation undertook a comprehensive study on the feasibility of Styrofoam recycling, and determined that food service foam “cannot be recycled in a manner that is economically feasible or environmentally effective for New York City.” After examining other municipalities that have tried to institute recycling for food service foam over the past 30 years, the report found that the majority of Styrofoam collected for recycling ended up in landfill anyway—but at a higher economic cost and carbon footprint compared to being directly landfilled. Neither bans nor recycling may be the magic button, but producing less waste overall is the right idea. With these findings, the city was able to successfully implement a ban on expanded Styrofoam containers and packing peanuts, which will go into effect in 2019. Murphy salutes it—his work at Environment Michigan includes efforts to implement a statewide Styrofoam ban. Recycling isn’t the way to go, he thinks. “A way to think about it is the cleanest, least polluted plastic is the one we don’t make in the first place,” he says. Moreover, researchers have found that people who recycle may in fact end up being more wasteful because throwing something in the recycling bin makes them feel that using more of that product is environmentally harmless. But bans aren’t without blame either. Zink, who describes himself as a “deep and passionate environmentalist,” argues that perhaps bans are doing more harm than good. When considering a ban, he says, it’s important to consider what will be replacing the banned product. Since single use food service containers are not going to cease to exist, what would replace Styrofoam? It could end up being another type of material that has a greater environmental footprint than Styrofoam, Zink says. “If we’re going to continue to have single use products anyway, it’s better that they be made of the low-impact material than the high-impact material, and we should do a better job of collecting the waste and preventing it from ever entering these fragile ecosystems.” Otherwise you just swap one bad product for another. Compostable options seem promising, but a report by Clean Water Action states that the majority of compostable single use food service products end up in landfill anyway and that whether composted or landfilled, they do not reduce greenhouse gas emissions. It seems that mealworms or mushrooms show promise for the eco-friendly solutions to degrade plastic, but that technology is still in its infancy. Can We Simply Be Less Wasteful? It seems that neither bans nor recycling may be the magic button, but producing less waste overall is the right idea. So the 30-year long debate is now shifting from waste management to waste reduction. Part of that process will involve taking a close look at our own practices, both at the individual and corporate levels. But that would be an important step in the right direction.